This summer, treat your family to the ultimate summer beachfront getaway! Escape the triple digit temperatures or humid weather and bask in the warm sunshine and cool ocean breezes at La Jolla Shores Hotel. Our hotel is one of the few hotels in San Diego situated directly on the beach, bringing you just steps from La Jolla Shores, one of San Diego's most family-friendly beaches. 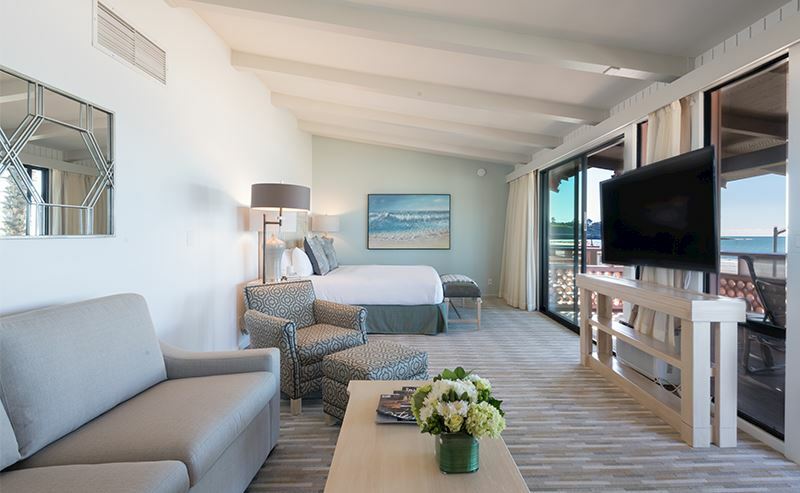 During the summer, when temperatures average in the high 70's, La Jolla Shores Hotel brings the fun to your family getaway with kid-friendly accommodations, direct beach access and exclusive summer activities for kids and adults. Learn why La Jolla Shores Hotel has been a family favorite summer destination for over 40 years! "We've been coming to this beach resort every summer for a long time. It's a perfect spot for the family. The staff is extra friendly and always willing to help. 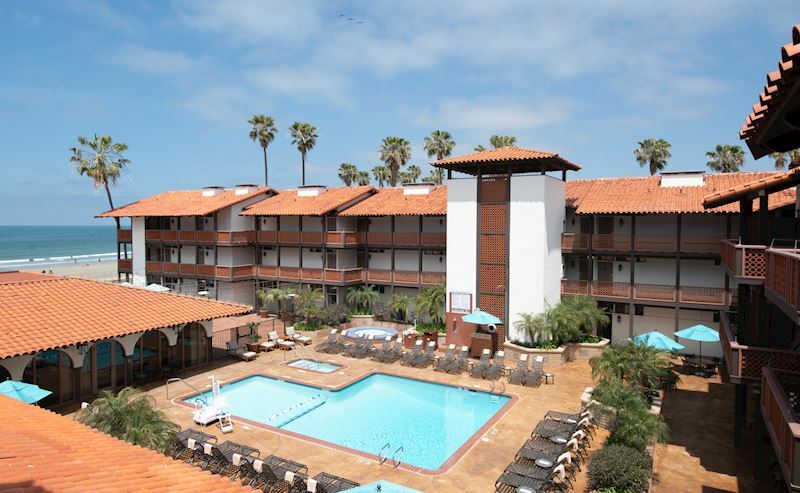 I would recommend La Jolla Shores Hotel for anyone looking for a fun beach location." What is the perfect beach day? It starts after enjoying a hearty breakfast with your family at our beachfront restaurant, The Shores. Just a few steps from the restaurant, you will be greeted by our beach service team, who will offer complimentary set up of beach chairs, umbrellas and towels for your family. Bring a frisbee and sand toys or your favorite summer read and enjoy the beach all day! Our hotel was built with families in mind, situated on La Jolla Shores, one of the most family-friendly beaches in San Diego. During the summer, the waves are gentle, making it the perfect beach for those with little ones in tow. 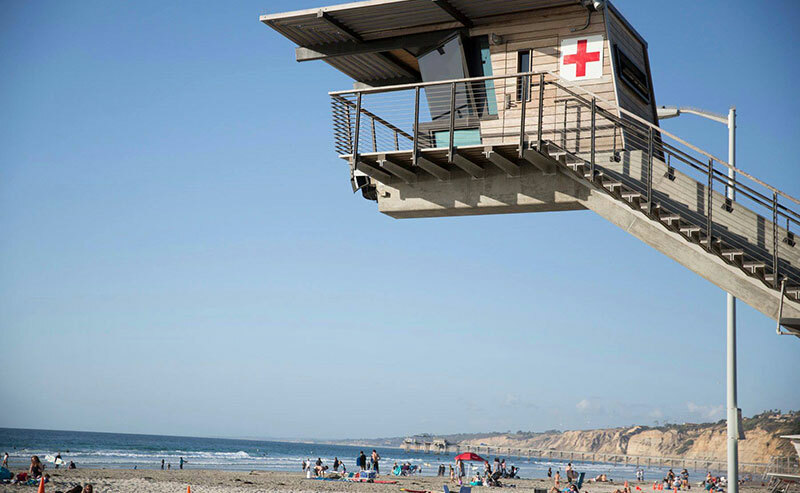 The one-mile long beach has lifeguard stations and is patrolled by San Diego lifeguards for your family's safety. 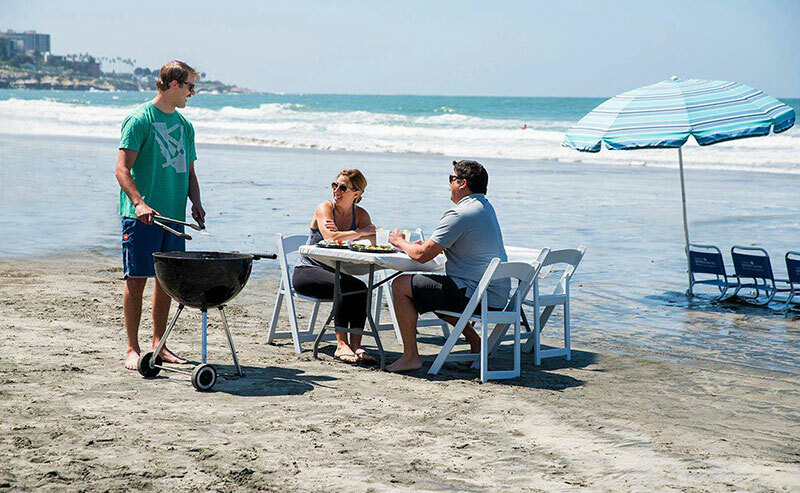 If you want the ultimate beach experience, plan ahead and reserve your beach barbeque cookout! You can select a variety of raw and cooked foods from our menu - you can grill on the barbeque yourselves or lay back and have delicious already prepared food brought to you. Our beach barbeque cookout is the perfect way to end an epic day in the sand. Enjoy an early dinner or dinner with a sunset view on the beach with your family! 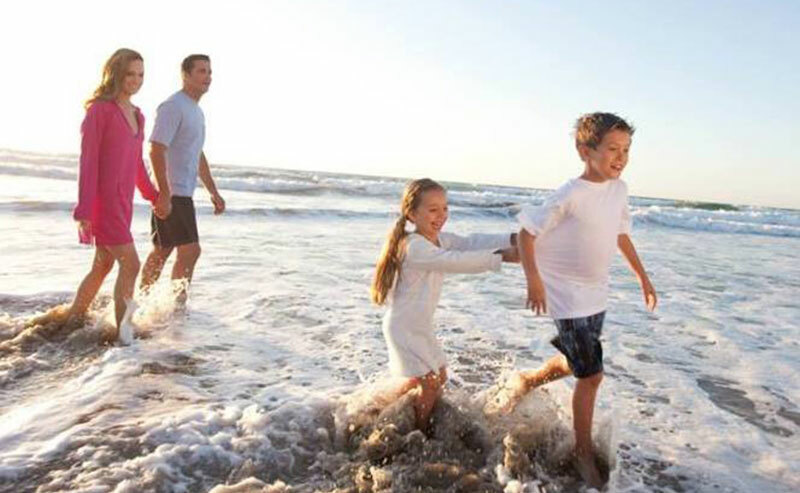 At La Jolla Shores Hotel, your family is our top priority. That's why our family-owned hotel offers accommodations and amenities that are well suited for your family's needs. Many of our rooms have the ability to become connecting rooms, so families of all sizes can stay together with enough space for everyone. With amenities like a mini-refrigerator or full-kitchenette, air-conditioning, flat screen TV with over 50 channels and HBO, DVD player, in-room safe, and coffeemaker with Starbucks coffee and tea to help you take care of the whole family. We agree, there's no place like home, which is why our relaxed Southern Californian hotel is designed to make you and your family feel comfortable and safe. Our 100% smoke free property and 24-hour security ensures that your family can enjoy your vacation worry free and comfortably. 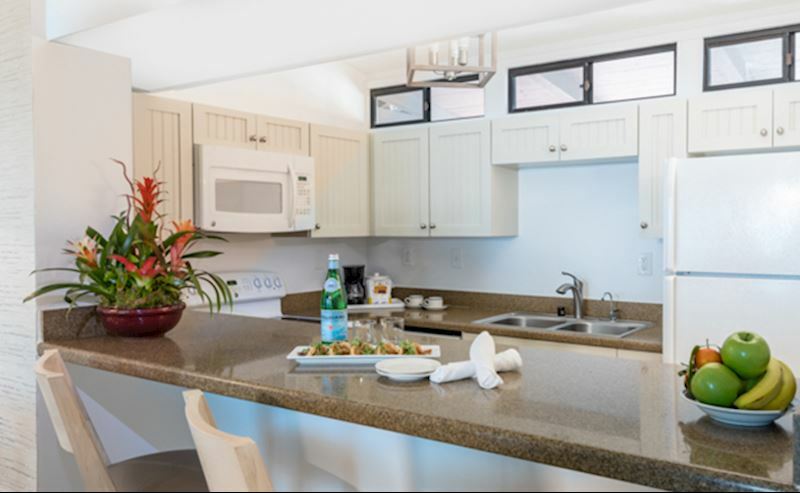 From complimentary Wi-Fi and DVD rentals for your in-room entertainment to ping pong tables and direct beach access for your outdoor entertainment, everyone in your family will be occupied from sun up to sun down. Our outdoor pool and jacuzzi is located just steps from your room and beach. During the summer, you can dine poolside and enjoy your favorite drink while soaking in the ocean breeze and warm sun. Our pool and jacuzzi are nestled in our Garden patio which is surrounded by lush tropical plants, giving you a true summer experience! 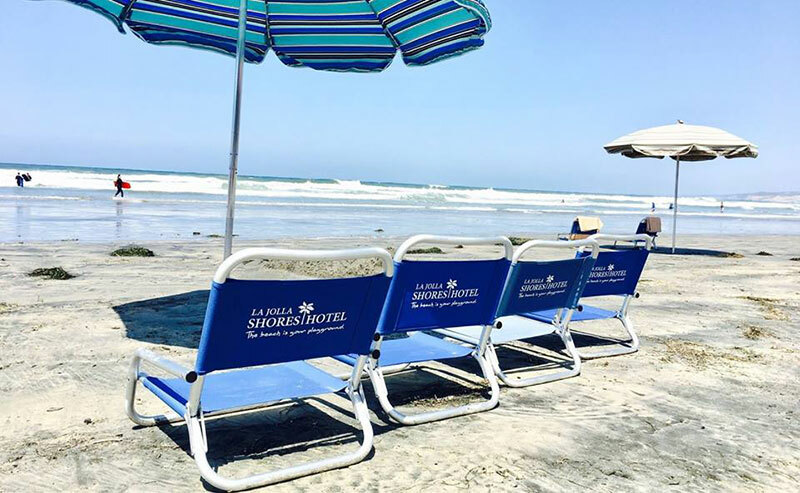 There's nothing like spending long summer days on the beach and enjoying fun activities with your family, and La Jolla Shores Hotel makes it easy. From Father's Day to Labor Day, our Summer Days at the Shores program fills each day with family fun activities. Each day of the week has its own special treat - from Sundae Sundays to S'mores Mondays. Tuesdays and Thursdays feature Dive-In movies, where the whole family can enjoy watching a fun film from the pool! And kids and parents alike will be entertained with Arts&Crafts Wednesdays and Weekend days filled with backyard games. Meet with our friendly staff at the front desk and they will give you a schedule of our fun-filled summer days! "Pros to La Jolla Shores Hotel: LOCATION. It's on the beach and chairs, towels, and umbrellas are provided for guests. It's near rental shops for gear, great restaurants, and right next door to an amazing playground for the kids! PLUS, special "perks" for kids like s'mores night, ice cream sundae night, etc." - Beth P.
If adventure calls, there are many walkable activities, either directly on the beach or nearby, to make your beach day even more exciting. From thrilling kayak tours to playtime at the park, there are fun activities for every age and mood. Nearby ocean tour companies make it easy for adventure seekers to explore the La Jolla area by kayak, bike, or snorkel. 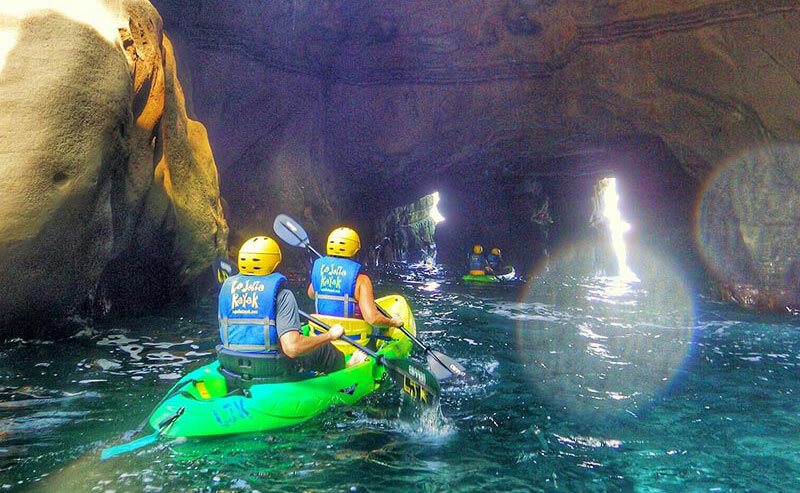 During the summer, conditions are typically the best to explore the La Jolla Sea Caves, and La Jolla Cove, one of Southern California's most iconic sites. If your family is feeling extra adventurous, many tour companies offer combination kayak and snorkel tours, as well as kayak and bike tours! The tour guides are some of the most passionate marine-loving individuals, making your family's experience entertaining and smooth sailing. Our front desk staff are happy to help you make arrangements for your family's excursion! During your kayak tour you'll experience La Jolla's beauty, learn about the area's history, and see marine life such as Garibaldi (California's state marine fish), sea lions, and maybe even dolphins or sea turtles. In August and September, a guided kayak tour could give you a front row seat to wide variety of leopard sharks that migrate to the La Jolla coast in the summer for the abundant food in our calm, warm, shallow waters. Don't worry, leopard sharks are harmless to humans and are a sight not to be missed! If you have little ones ages six and up, these tours are the perfect opportunity for them to see marine life up close and learn about the La Jolla Ecological Reserve in a unique way. 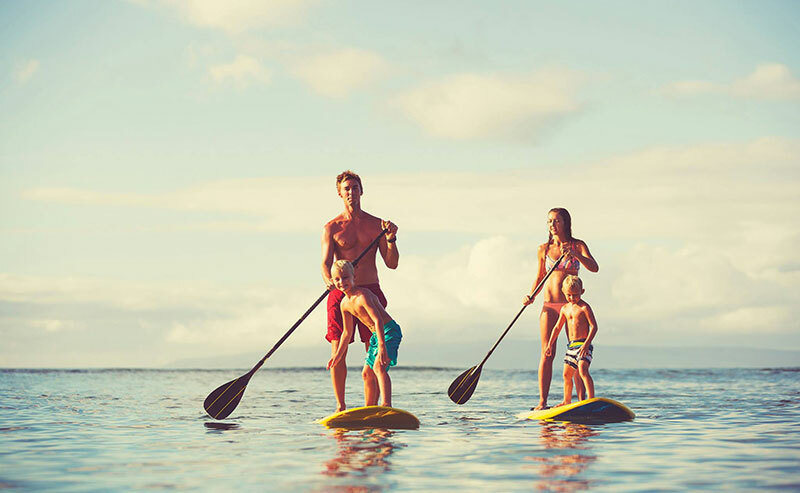 For young children, we recommend double kayaks, where you will steer the kayak from the back and give your kid the front row seat to ocean excitement. For teenagers who want to be independent, individual kayaks are available! A variety of snorkel tours are offered at local companies through the La Jolla Ecological Reserve , including a thrilling guided leopard shark snorkel tour, best enjoyed in the peak summer months. This experience is guaranteed to be exciting from start to finish with endless marine life sightings. 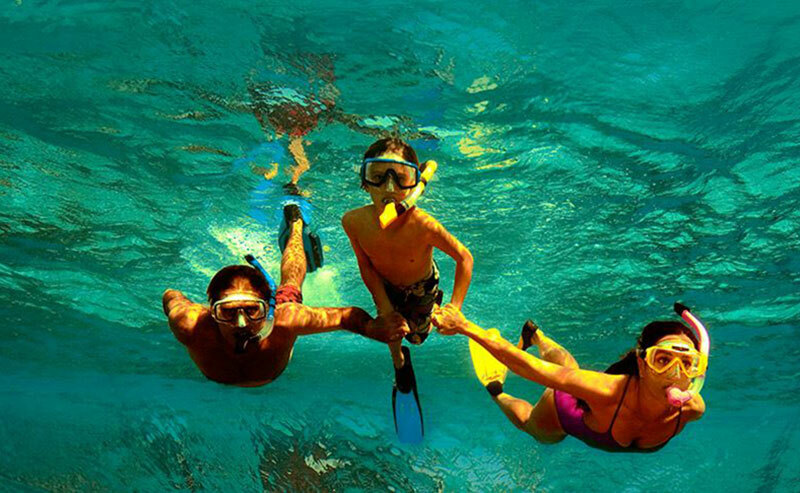 A couple of tour companies offer La Jolla Cove snorkel tours, perfect for beginners and kids. La Jolla Cove is home to spectacular underwater rock formations, plant life and marine creatures including sea cucumbers, anemones and sea stars! For your older kids ages 16 and up, La Jolla Kayak, Hike Bike Kayak and Bike and Kayak Tours offer guided bike tours of La Jolla's famous coastline. All tours start at the top of Mt. Soledad National Veterans Memorial, which is considered one of the most unique veterans memorials in America. During the summer when the skies are clear, you will experience panoramic views of San Diego and beyond! 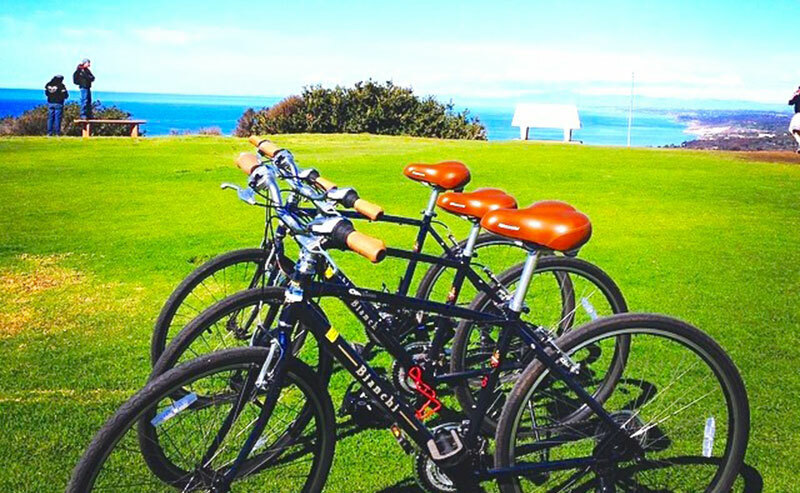 These guided bike tours will take you along some of San Diego's famous scenery including Windansea Beach, Bird Rock, the Children's Pool and La Jolla Cove. For young ones who prefer an adventure at the park, Kellogg Park iis adjacent to the hotel. The beachfront, family-friendly park offers swings, slides, picnic tables, and a large grass field providing ample space for kids to play! "The ocean view is amazing and the beach service is wonderful. Plus, there are many fun places to eat and activities to take part in within walking distance. We love this hotel so much that we stay every summer and have recommended it to our friends." - Kathryn R.
Not only is our hotel placed right on the beach, it's also conveniently located near many of San Diego's most famous attractions. Dive into a day of learning with your kids at the aquarium. 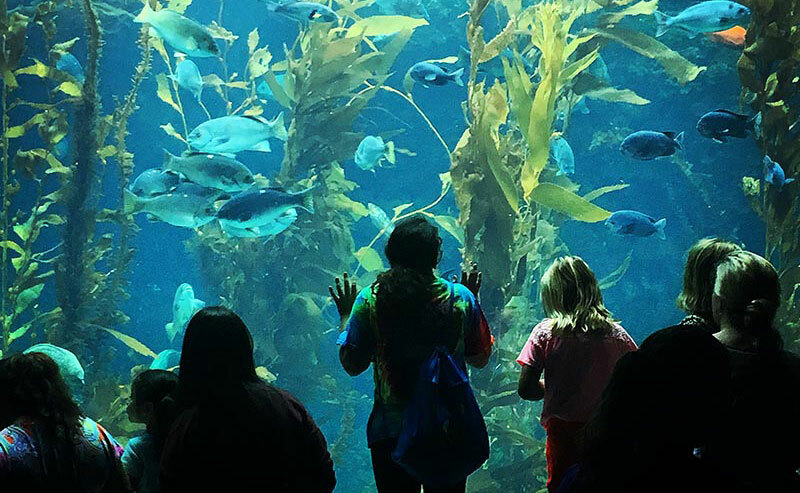 With more than 5,000 fish, fun hands on interactive activities and cutting edge research from Scripps Institution of Oceanography, your family will leave understanding the deep blue sea appreciating our marine life! 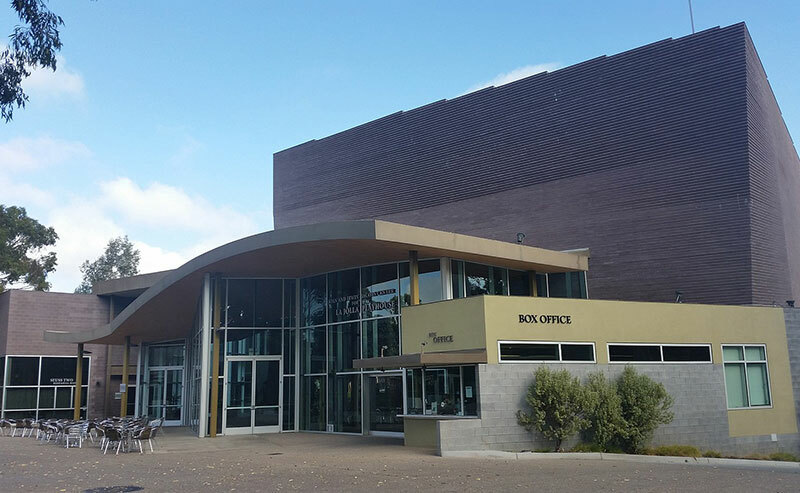 The Tony Award-winning professional non-profit theatre is perfect for theatre-loving families with children over the age of 6. Check their website for an updated list of shows and events. 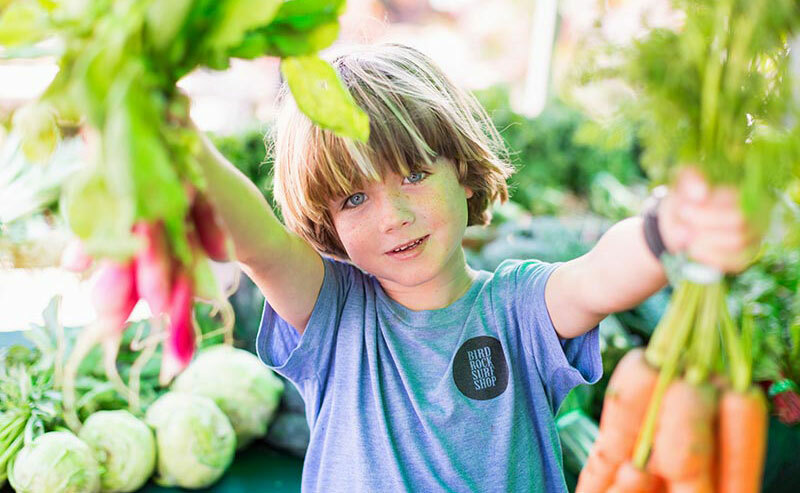 Spend a nice summer afternoon enjoying local produce and bites while supporting a good cause. All proceeds benefit La Jolla Elementary funding various initiatives including school improvements and programs for art, music, library and technology. 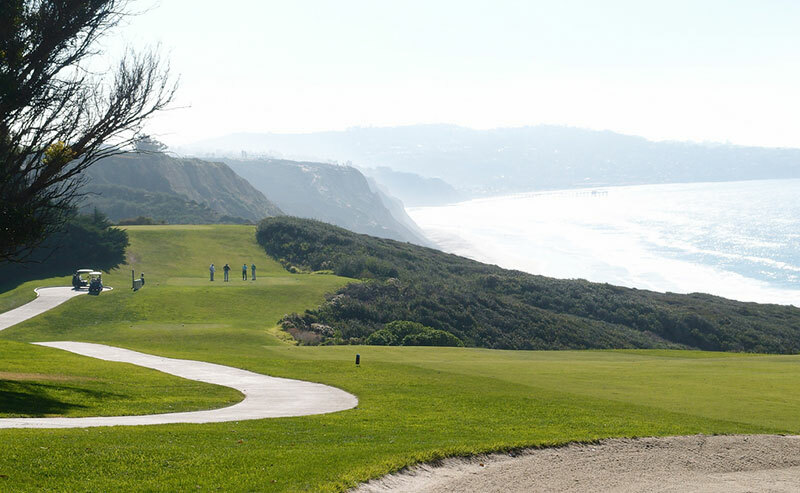 For our golf-loving families, you must experience San Diego's picturesque golf course overlooking the Pacific Ocean! Torrey Pines Golf Course is known for its yearly hosting of the PGA TOUR's Farmers Insurance Open. Book your tee time in advance of your arrival, especially during busy summer months! 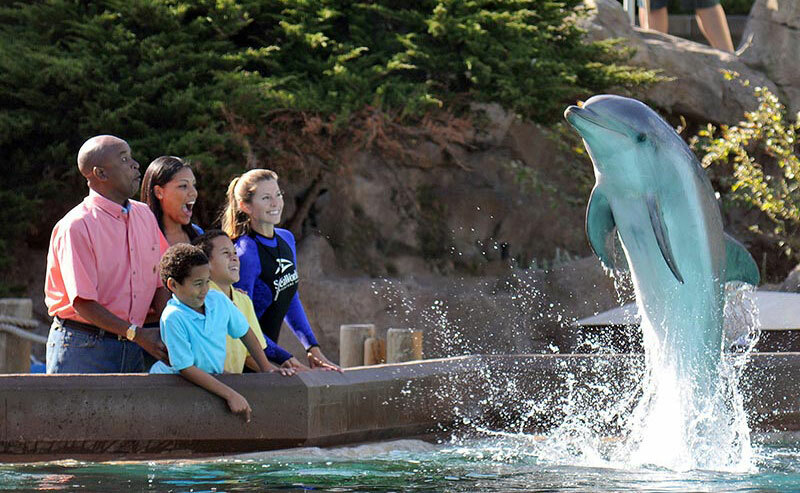 Enjoy a full day filled with thrilling rides, high speed coasters, and marine life in up close exhibits! Our front desk staff will help you plan your day and let you know about the must-see events and activities! Craving Mexican food? Old Town is home to some of the best Mexican cuisine in San Diego. 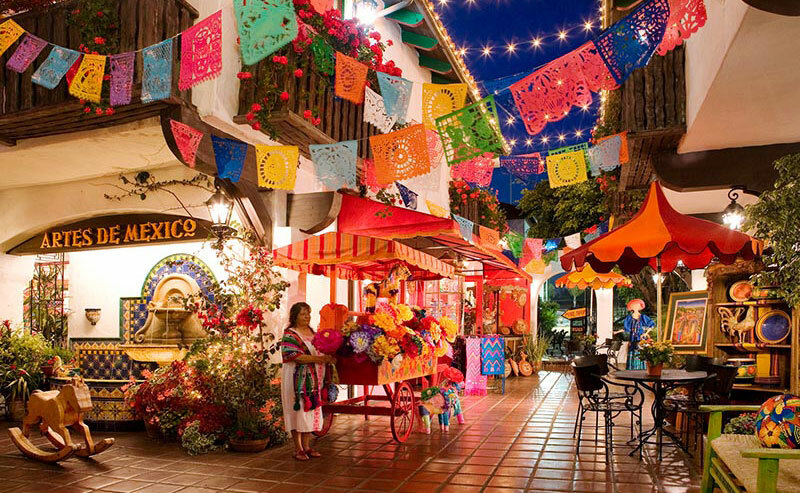 There are also historic sites for your family to explore and a variety of shops that you can only find in Old Town San Diego! A quick drive south you'll find 17 waterfront dining options, 45 one of a kind shops, and tons of family attractions! From casual restaurants to face painting activities, there's an activity for every age and occasion! 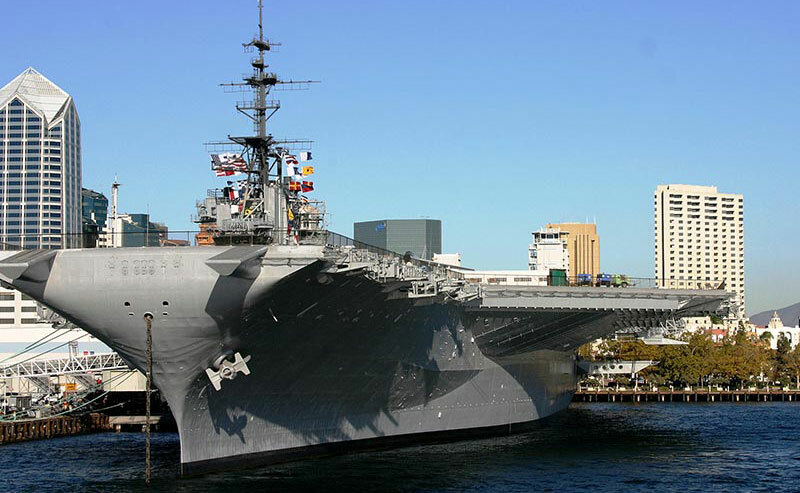 Step on board the longest-serving aircraft carrier in U.S. military history! 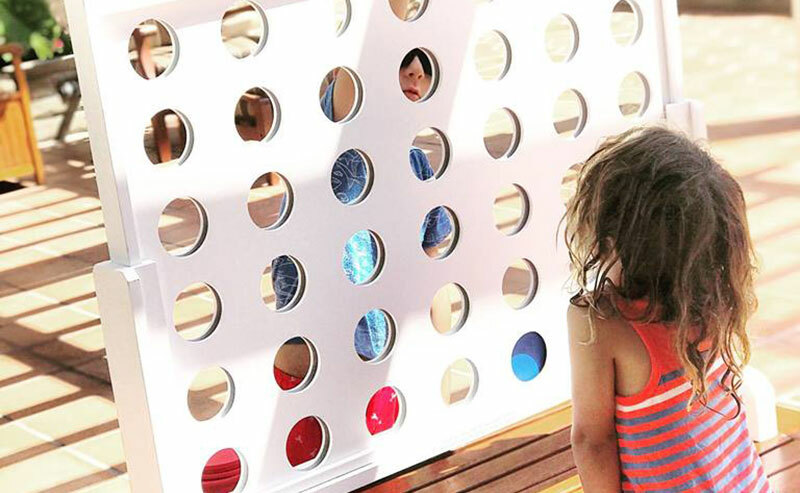 With so many kid-friendly activities, like our favorite the Junior Pilot Program, where littles ones can earn their Junior Pilot Wings in an activity that will take you around the ship. They are even presented their wings in a little ceremony! At one of the world's best zoos, over 3,700 rare and endangered species are waiting to entertain and educate your family about life in the wild. 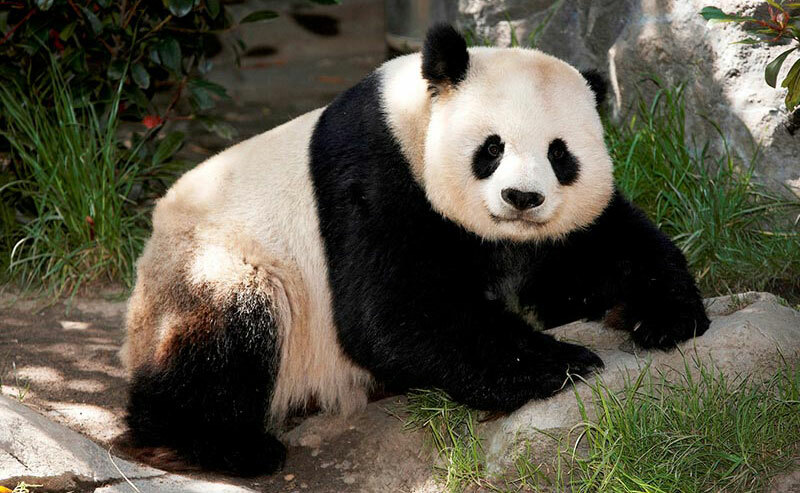 You'll find all your kids' favorite furry, scaly, and exotic friends at the San Diego Zoo in Balboa Park! Batter up! 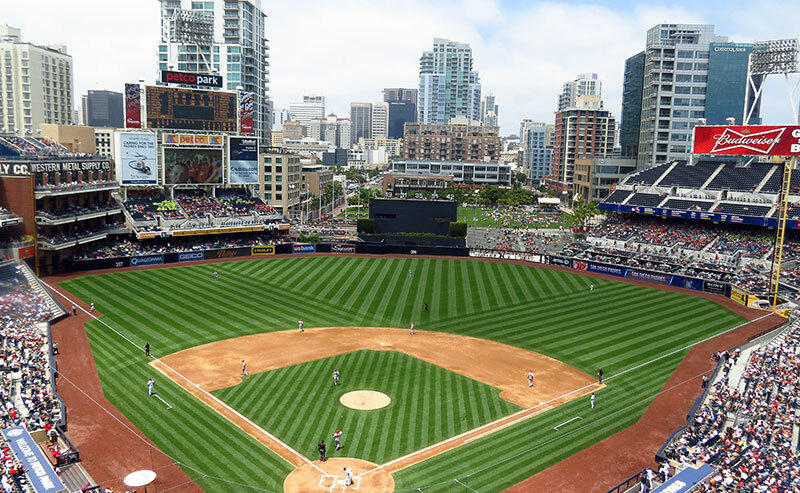 Enjoy a Padres game at "the world's best ballpark in America's finest city!" During the summer, a popular activity for families is Park at the Park, when families hangout and watch the game at the park right outside the Padres field. You'll find the famous Tony Gwynn statue, a playground and a miniature baseball diamond for little ones! 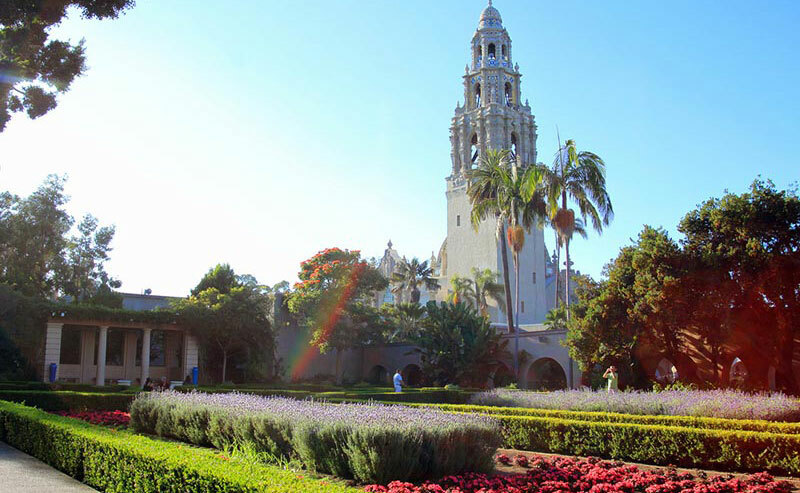 Balboa Park is home to 17 museums and cultural institutions that bring you the history of San Diego, trains, automobiles, planes, arts, and so much more! 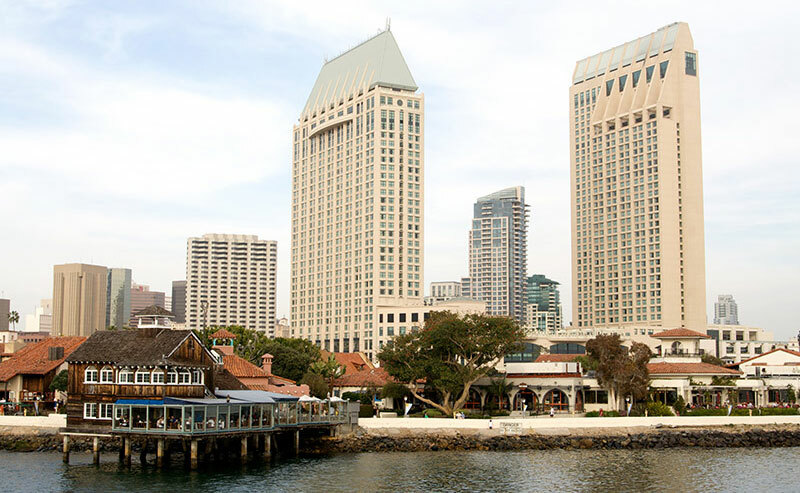 Some of our family favorites are the Fleet Science Center, San Diego Air and Space Museum, San Diego Natural History Museum (theNAT), and the San Diego History Center, all offering kid-friendly activities. Celebrate summer the best way you can, on the beach! We welcome you and your family to our beachfront hotel, where the beach is your playground!